Bjarki is from Iceland. Born and raised. Despite the fact that Bjarki is known for making extremely powerful dancefloor tracks he doesn’t seem to belong to any particular genre. Something this triptych of LPs demonstrate very well. His music is at times cinematic and there’s a story behind each track. Bjarki’s music always has something to do with him personally, but he’d rather the listener lose themselves in the music than pay much attention to the man behind them. Either on a record or to one of his ever evolving live sets. Б | Lefhanded Fuqs | Æ will be released over the coming months and represent a snapshot of his archive, selected by Nina Kraviz for Trip. The tracks were produced months ago, years ago, or in the case of the last track just a couple of weeks ago. What began with 30 tracks is now 41. The three LPs aren’t albums in the traditional sense - the concept being to release the contents of his burgeoning hard drives. The music might together like an album, but Bjarki doesn’t see it that way. It’s essentially an archive that sounds like an album but none of the music was made with this in mind. 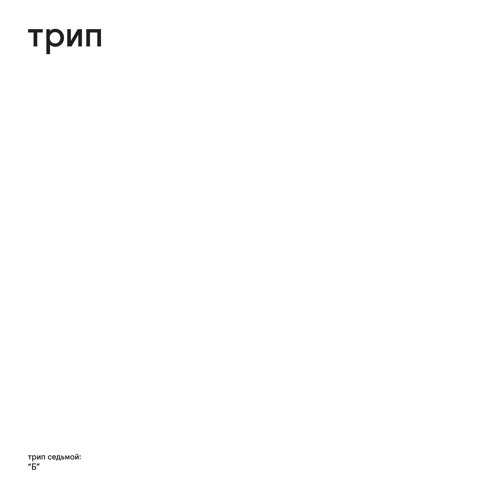 “Б ” [TRP007 |17th June] - consisting of more ravey, sample-based music, mostly tracks that Bjarki never had any intention of releasing. But since Nina has been playing many of them in her sets, releasing them has been given new meaning. In the rave culture of the 90s, that’s proved a strong influence on many of these tracks, what matters was actually “being there”. There was no immediate or alternate technological way to experience it otherwise. "Б" из “B” letter in cyrillic. It’s a word play. A missive for “being" in the moment, being present, being aware… B is for Bjarki.